That’s golf driver we’re talking. 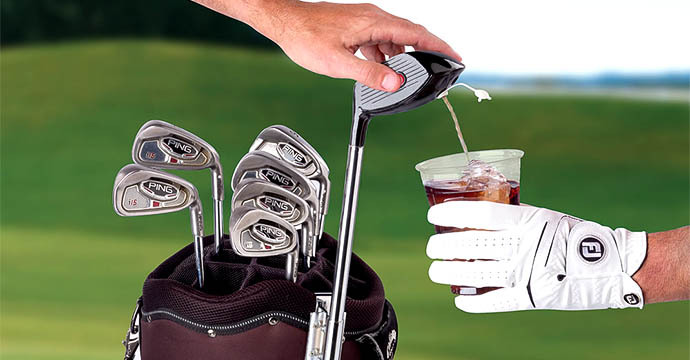 If he enjoys spending sunny days on the front and back nine, this hidden flask will add some fun. A button-touch release pours an ounce of spirit per second, so he can take quick nips at his leisure, or share with his foursome for a party on the course.